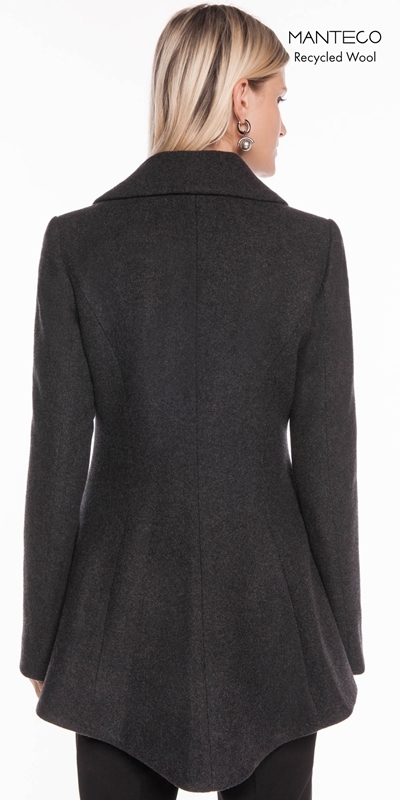 Made from a melange felt from Italy, this double-breasted jacket features a wide peaked collar and lapel, long fitted sleeves and front flap pockets. Finished with a shaped peplum hem. Fully lined. Fastened with buttons down the front.